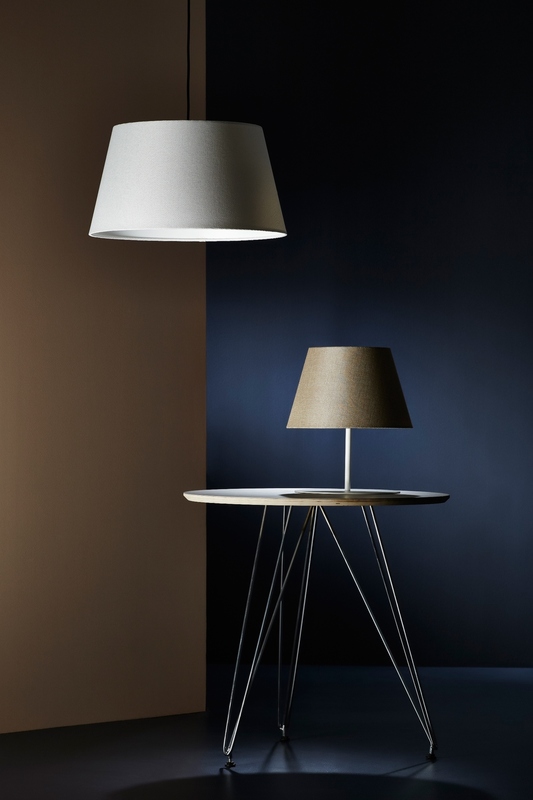 A lighting range with a new look, Pegasus is traditional in style with a beautifully tapered shade that is sure to suit home, hotel and hospitality settings – to name a few. A traditional rolled edge speaks volumes of Pegasus’ quality design and finishing. Available as a table lamp, floor lamp, and a pendant in three different sizes. We offer 4 beautiful standard fabrics - bronze, ivory, hessian & titanium. Also available in custom fabrics subject to suitability.